Nature-Based Education — Montessori Schoolhouse of Cheshire County, Inc.
Montessori education remains relevant in our modern world. Concerns about the need for modern children in our digital age to connect with nature are addressed in the very core of Montessori philosophy. There is much discussion of late regarding nature-based play versus an academic focused classroom. Montessori does not view these as mutually exclusive. If we are truly following the child, we will provide for their many needs. The child who desires to read or the child who wants to dig in the dirt with a stick are given equal opportunities to do so. Both these needs must be met. 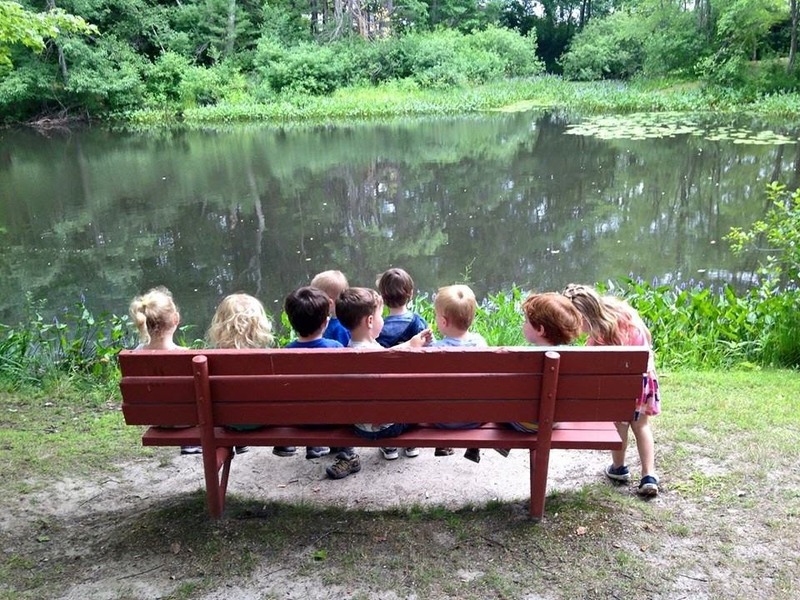 Nature exploration is an integral part of Montessori education. Dr. Montessori believed children should have unhurried times in the woods. This was a time for exploration, creativity, and a time to appreciate the natural world. The recent proliferation of technology makes this essential for our children. We talk of nature deficit today and, perhaps because Dr. Montessori worked with children from tenement housing with high poverty rates. These children did not have much access to nature, she was insistent that this be rectified. There must be provision, she said, for the child to have contact with nature and to understand and appreciate the harmony and beauty in nature. Here at The Montessori Schoolhouse, our location offers abundant opportunity for nature play, both on our own grounds and the surrounding area.